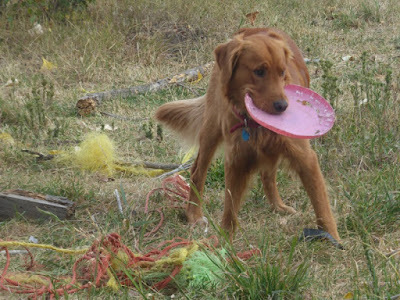 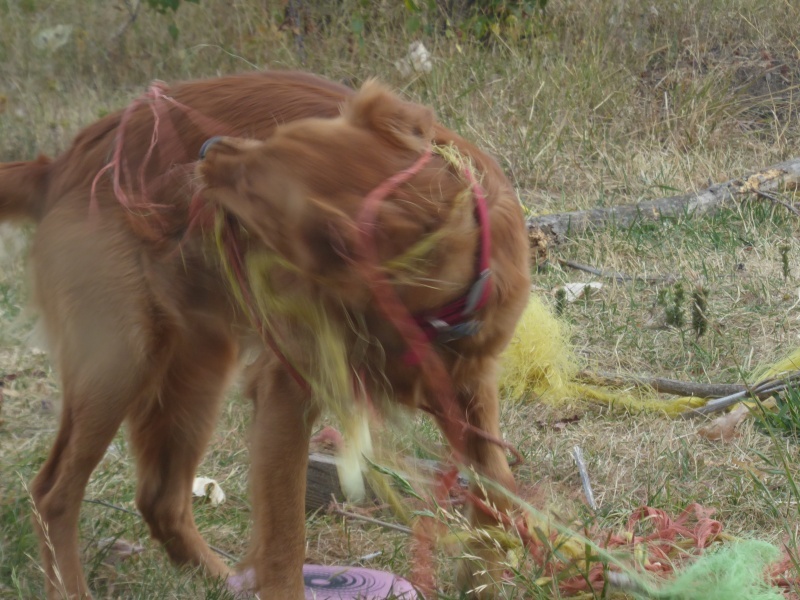 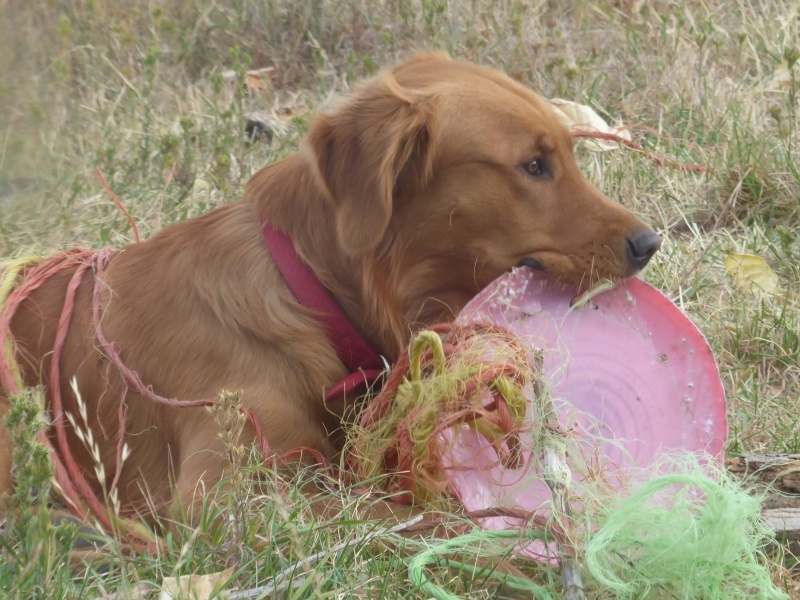 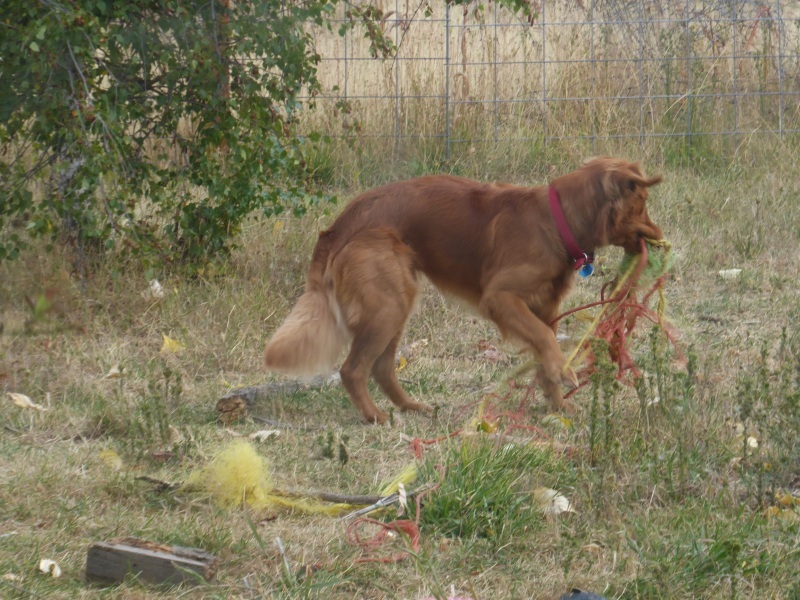 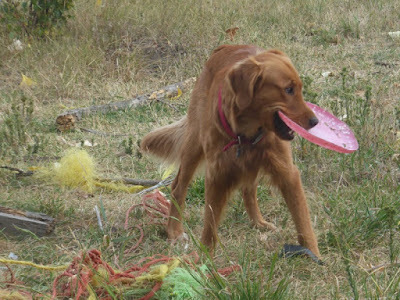 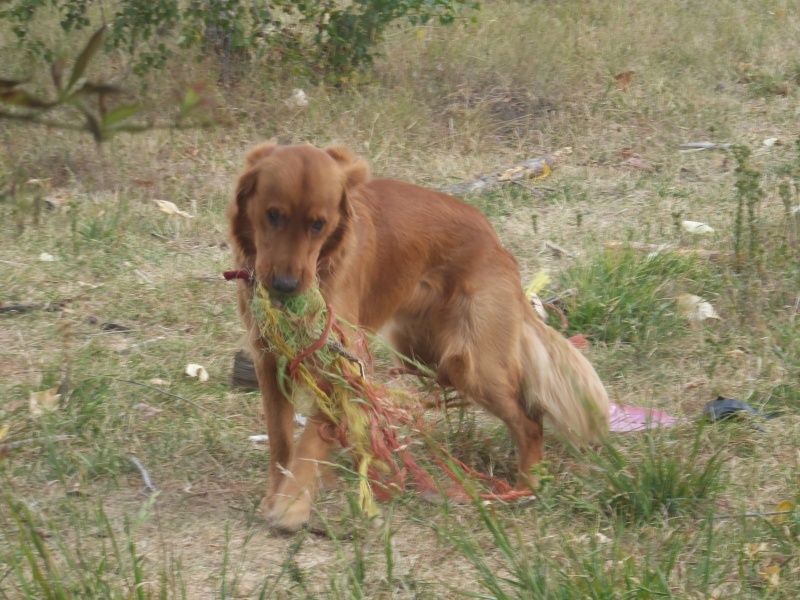 Here's just a few photos of Mr. Darcy being silly in the front yard, playing with assorted stuff like a bundle of baling twine and an old cheap Frisbee. 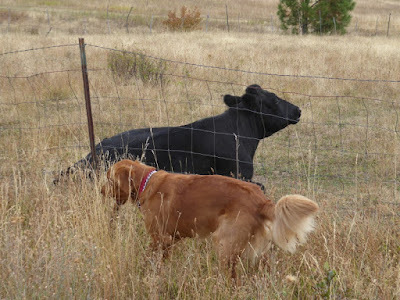 And here's Mr. Darcy barking at some cows, who are supremely indifferent to him and calmly chewing their cud. 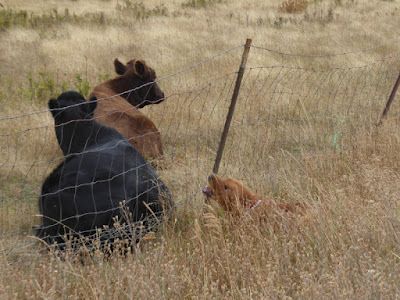 Only after a couple minutes did the cows leisurely get up, stretch, and wander away. 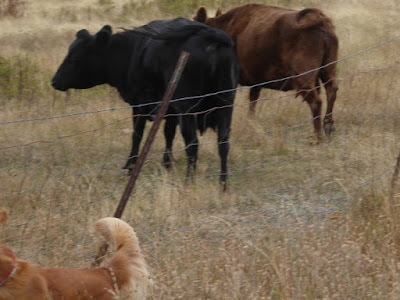 Mr. Darcy was very proud he'd routed the animals All By Himself. 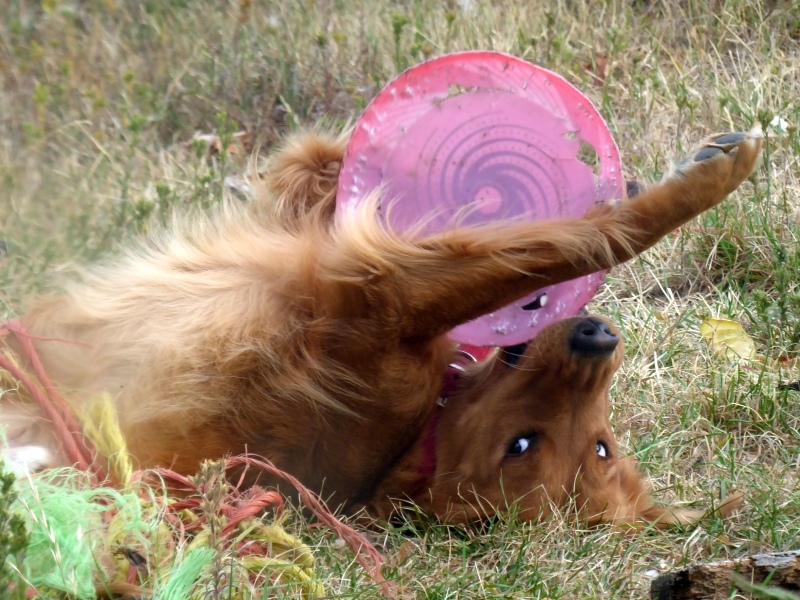 Have you taught Mr. Darcy to catch the frisbee? 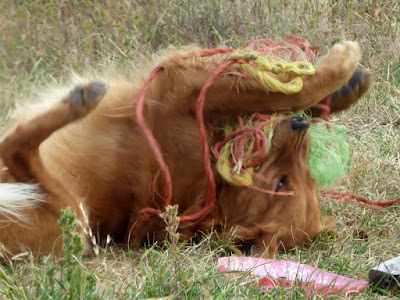 Dogs can be a lot of fun. 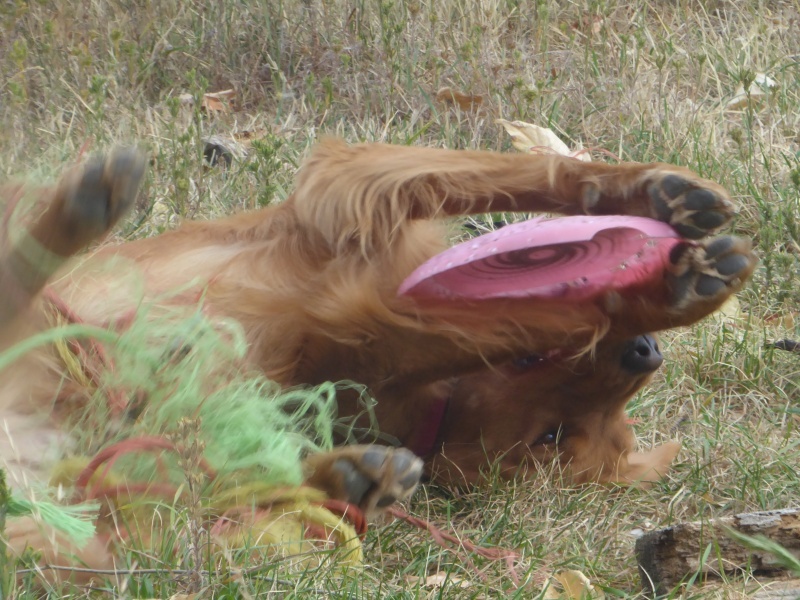 That is one happy pup, life is good. 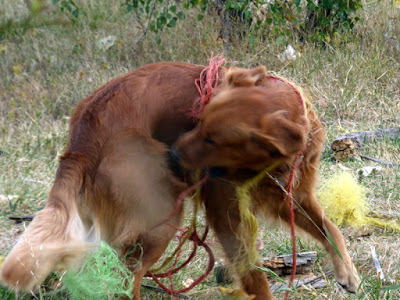 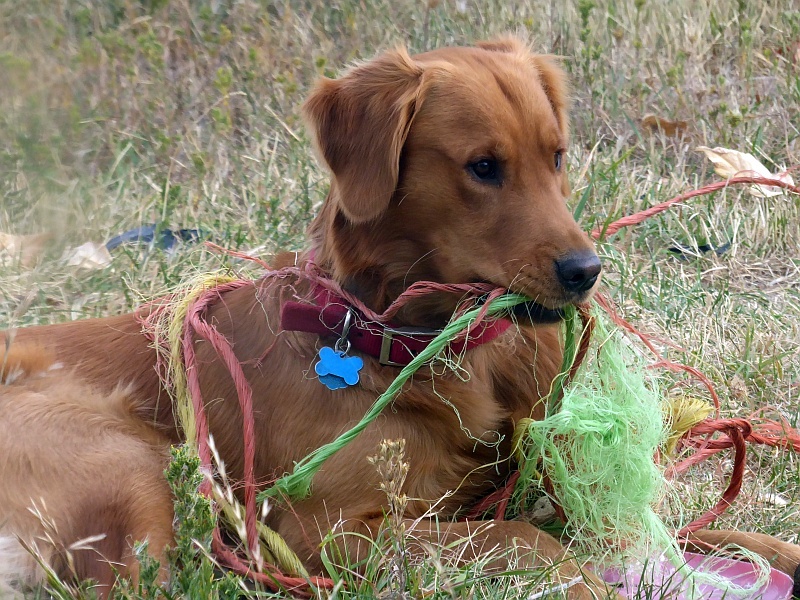 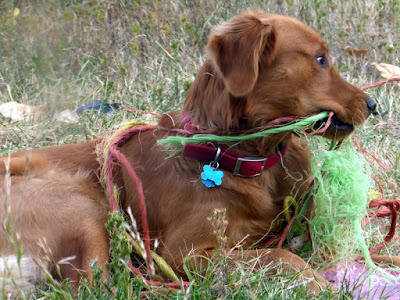 Dogs and any little bit of twine do NOT mix well, costly vet bill! 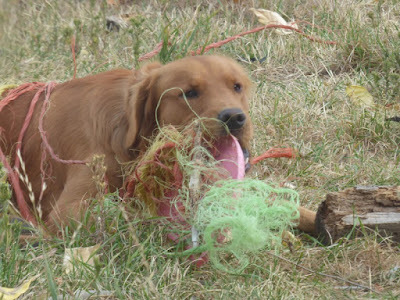 Has his coat become a little darker? Always a great thing to watch puppies being goofy.